Federal Government says power generation will Increase by 1,129 Mega Watts in 2018 – Royal Times of Nigeria. The Federal Government this week announced that they could generate additional 1,129 Mega Watts to the current 7,000 Mega Watts in the country when some power generation projects were completed by 2018. Fashola said “The Azura power plant will give us another 450MW; I know that we will also get 10MW of wind power from Katsina State. I know that we will get 115MW from Gbari and 30MW from Kashimbila. From Afam III, we will give 240MW of power in 2018, while Gurara is working to deliver 30MW, as Dadinkowa in Gombe will provide 29MM and Kaduna will generate 215 MW. 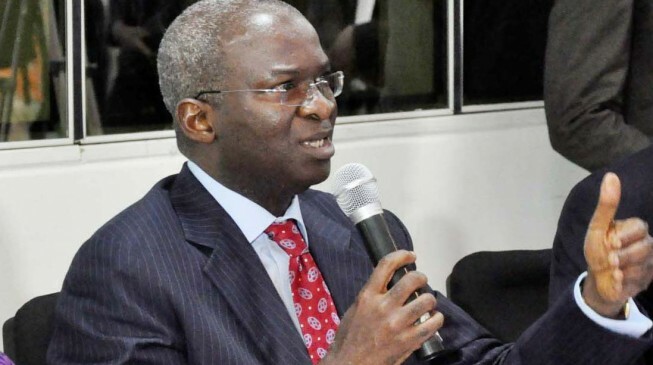 He said it was important to devise means of taking the unutilised 2,000MW to Nigerians who needed power, noting that, “We cannot afford to keep power; that is not good for business, especially those who invested in it. He attributed the success recorded in the sector so far to government polices, especially the provision of N701 billion assurance guarantee fund that enabled the payment to gas suppliers by Generating Companies (Gencos). He said, “The assurance guarantee brought confidence to power production business, which resulted to increased power production which took us to all-time high of 7,000MW power availability. As at Dec. 5, 2017, power supply stood at 5,019MW, which was below the 5,074 MW achieved in January 2016. However, grid supplied power peaked at all-time high of 5,155 MW on Dec 8, an increase over the January 2016 figure of 5,074 MW”.